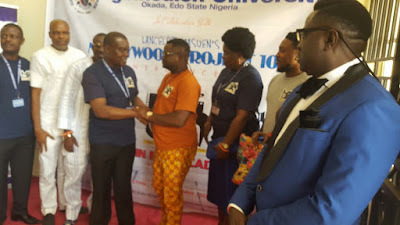 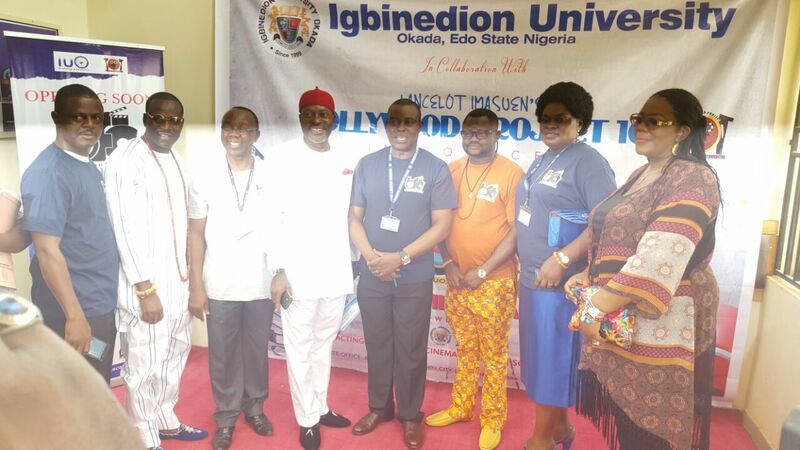 Nollywood to the next level with his recent partnership with Igbinedion university Okada, Benin City for his Nollywood Project 101 to set up The Benin Film Academy. The official signing of the memorandum of understanding between the two parties took place on January 14, 2017 at the 18th matriculation ceremony of the University which is now the first private University in Nigeria to achieve such feat. 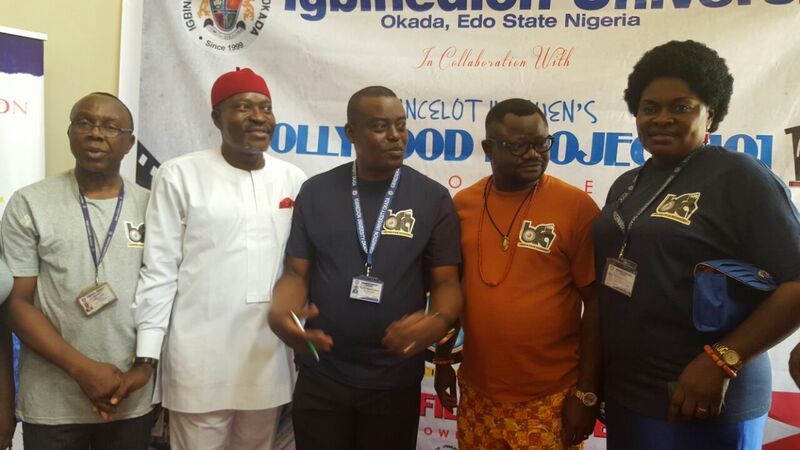 The project which is set to take off in the first quarter of 2017 under the tutelage of Lancelot Oduwa Imasuen 's Nollywood project 101 will be gateway to the heart of Nollywood in Benin, an entrepreneurial practical school that would further improve the lives of people in that region. 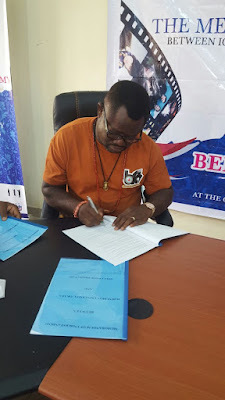 In first of its kind, Benin Film Academy will be offering practical training in Acting, Directing, Editing and Script Writing that will surpass all expectations; with summer film camp for teenagers and children. 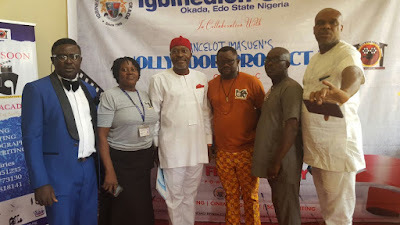 Speaking on the project, Lancelot said; the need for me to give back from my wealth of knowledge informed my decision to start a film school and contribute my own quarter to development of entertainment in the country." "I have garnered a lot of experience from my over 2 decades of movie production and directing. I believed this is the best time to give back so, all plans are now in place to start in this first quarter." 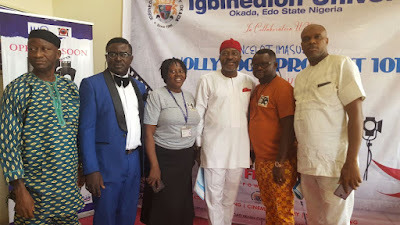 With a seasoned and talented Nollywood greats like; Desmond Elliot, Kanayo.O.Kanayo, Sani Mu'azu, Victor Okhai, Kabat Eseosa Egbon, Andrew Osawaru, Hyginous Ekkwuazi and Omotola Jadade Ekehinde making the board of fellows of this great innovation, Benin Film Academy is set to redirect the focus of Nollywood to achieve greater feats. 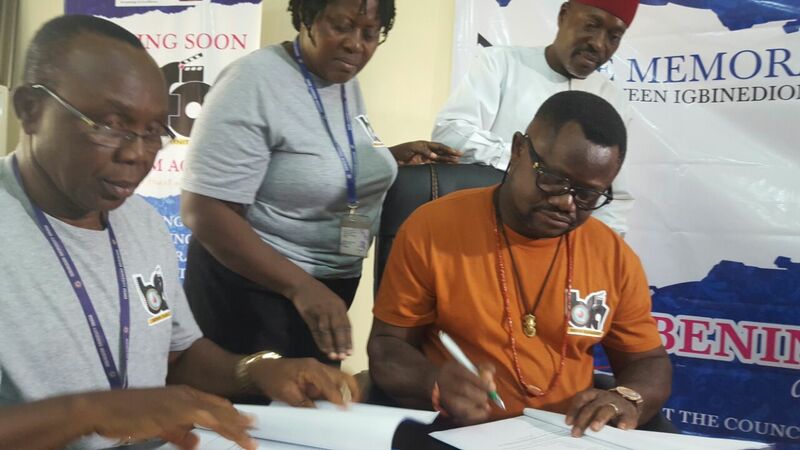 More pix from the signing of memorandum of understanding in Benin on saturday.